Will all Christians be raptured at the same time or will each Christian be raptured at a convenient time to avoid accidents happening by believers suddenly being caught up into the air to Jesus? According to Paul, the dead in Christ will rise first, then those of us who are alive will be caught up. “According to the Lord’s word, we tell you that we who are still alive, who are left until the coming of the Lord, will certainly not precede those who have fallen asleep. For the Lord himself will come down from heaven, with a loud command, with the voice of the archangel and with the trumpet call of God, and the dead in Christ will rise first. After that, we who are still alive and are left will be caught up together with them in the clouds to meet the Lord in the air. And so we will be with the Lord forever.” (1 Thessalonians 4:15–17) Looks to me like it will be all at once. The next few chapters are “asides”, like cul de sacs. The seventh trumpet actually announces the seven angels with the seven last plagues in chapter 15—“last, because with them God’s wrath is completed.” (vs 1) Indeed, the seven last plagues are the the Seven Bowls of God’s Wrath. 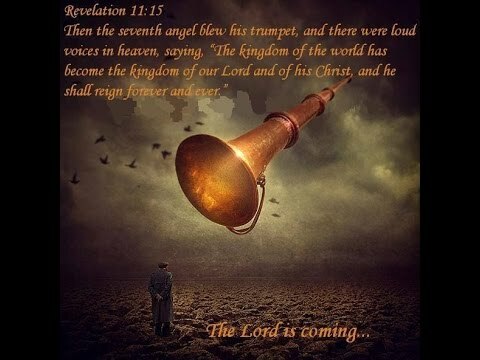 The trumpet of God will sound (Matthew 24:31; 1 Thessalonians 4:16; Revelation 11:15). Those Christians left alive will rise. Finally, God’s wrath will be unloosed on all who remain. The final fall of “Babylon the Great”. 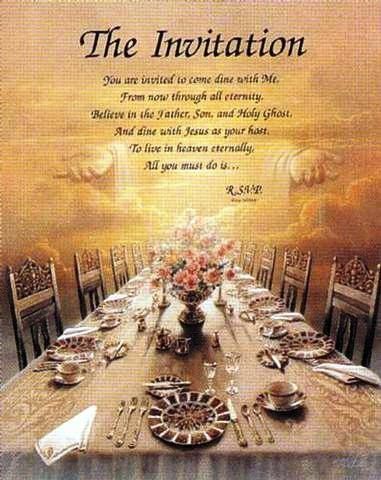 The marriage feast: Christ and his Bride, a pure and holy, spotless Church! What do you think of Donald Trump being the president? Do you think it’s accurate how people say he reminds America of Hitler?